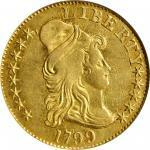 Lot:1130 1904 Liberty Head Quarter Eagle. Proof-65+ Cameo (PCGS). 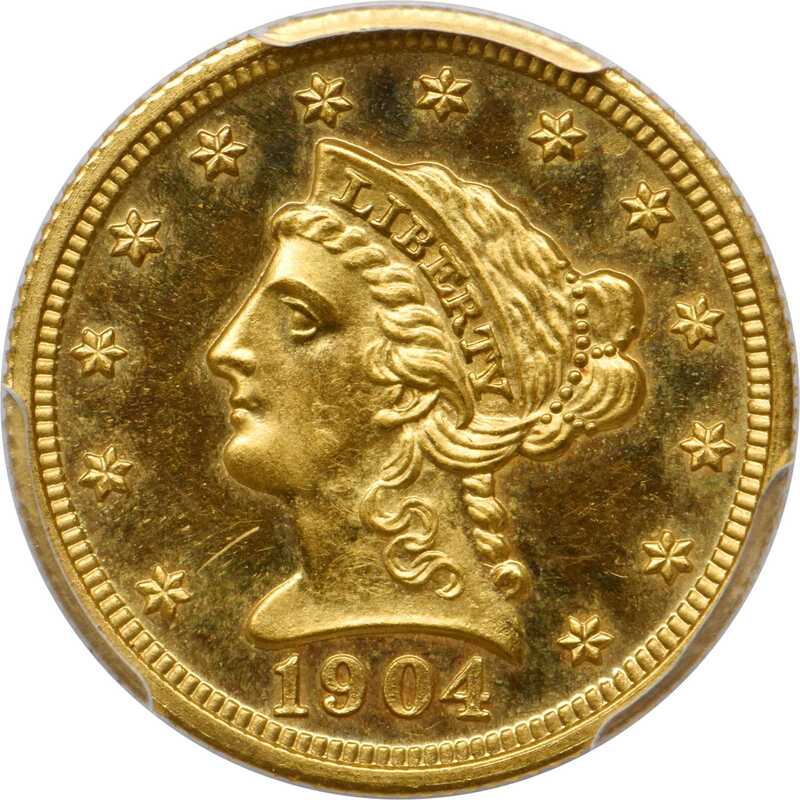 1904 Liberty Head Quarter Eagle. Proof-65+ Cameo (PCGS).A glittering Gem Proof displaying brassy gold coloration and an original patina of powder-blue shades in the fields. The surfaces are smooth and free from notable abrasions, showcasing the frosty devices and watery fields on each side. A spot of violet toning on the eagles left wing will aid in tracing this piece through future cabinets. Proof quarter eagle production amounted to just 170 coins in 1904. Although this total represents a modest reduction from those posted the preceding four years, the 1904 is not the lowest mintage 20th century Proof of the Liberty type. 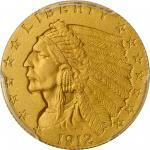 On the other hand, this issue is the rarest from that era, surpassing even the lower mintage 1905, 1906 and 1907. When we further consider that virtually all known survivors exhibit a fully-brilliant finish with minimal, if any cameo contrast, the inclusion of the Cameo designation from PCGS further enhances the importance of this offering. Just 9 coins are certified finer by PCGS in this category. An impressive strike and absolute rarity that would serve with distinction in the finest gold cabinet.From the Collection of Harvey Childs, collected before his passing in 1970.